I wrote last week about my budding interest in being a backyard naturalist. Really, it’s a long standing interest, taking a more directed form of late. Anyway, the other day I was driving the tractor across the yard hauling chicken bedding and I passed a small nest on the ground. I turned around to take a closer look. It was under one of the large pine trees at the front of our property. Duke had sent tree trimmers through to clear the foliage around the lines, and they cut out a lot of branches from these stately old trees. This perfect little nest must’ve fallen in the process. It looked like it had been formed from tiny branches and thick grasses around the outside then lined with pine needles and thin grasses on the inside. The outside measured about 3″ across and 1″ tall. The inside bowl is about 1.5″ across. 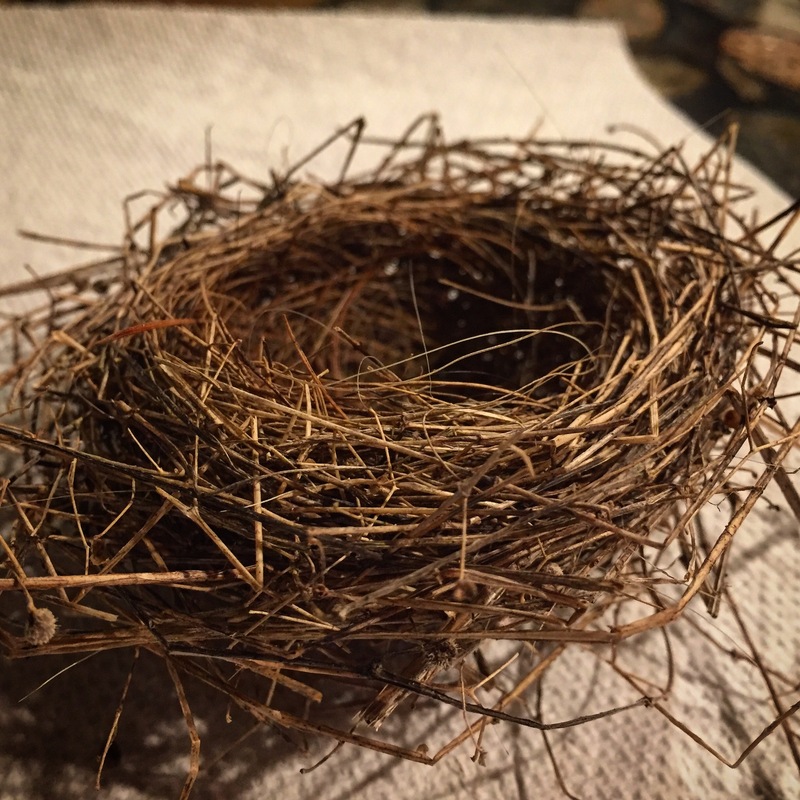 It sounded a lot like the nests described for the Cardinal but it seemed so very small! I posted it on Instagram and asked for feedback from more knowledgeable birders than myself. Sure enough – it was suggested it was probably a Northern Cardinal or a House Finch. I looked up the latter and it’s not something I’ve seen around here. I re-read the description of how they construct their nests. It is a bit small but contains a lot of the materials often used. 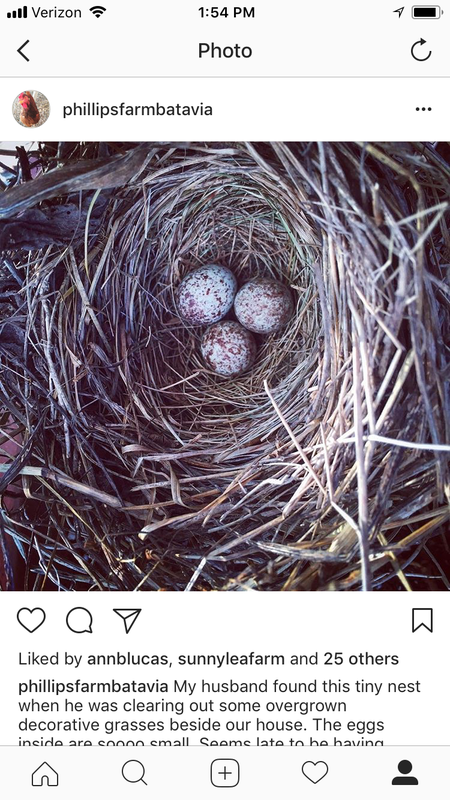 When I searched for pictures of Cardinal’s nests, you can see that the nest is usually about the size of the female’s body since she builds the bowl around herself. Perhaps this was built by a smaller female.